Welcome to our t-shirt shop. 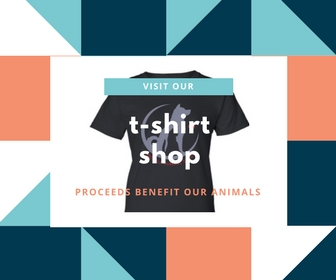 Perfect for weekends or working out, what a great way to show your love of animals while promoting the message of Adopt, don't shop! There are lots of cute styles that update often so keep checking back. Proceeds benefit our homeless animals. Think of them as clothes for compassion as well as fashion!